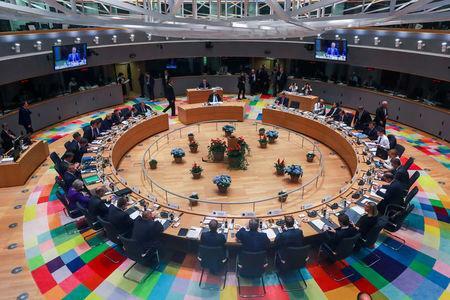 BRUSSELS (Reuters) - The European Union and Britain have given themselves a few more weeks to break the deadlock in their Brexit talks but for Brussels the delay seems mainly about Prime Minister Theresa May dealing with critics back in London. EU negotiator Michel Barnier pledged at a summit to keep working "calmly and patiently". But many EU leaders see the main negotiations to be had now as being among May and her allies in London, possibly only after she gets a budget through parliament early next month. They see little scope now for the EU to move.